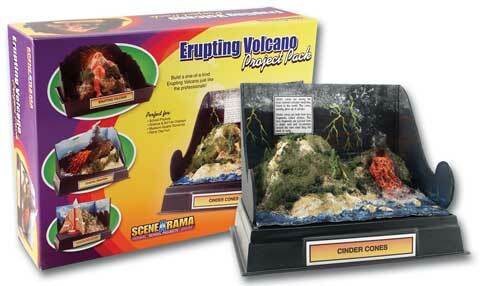 Form a cinder cone, caldera, cutaway or active island volcano with this kit. It includes a base, backdrop, all the project materials, instructions and a fun educational activity booklet. Use your imagination, along with all the trees, bushes and an eruption mixture for an explosion of fun.